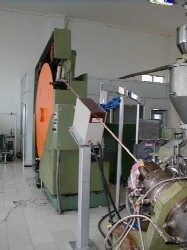 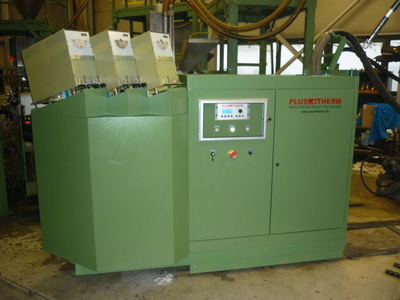 Various wires and cables need to be preheated prior to plasticizing (extrusion). 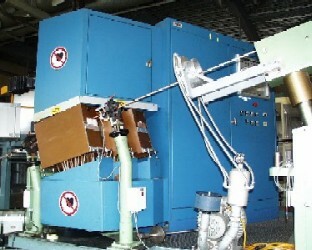 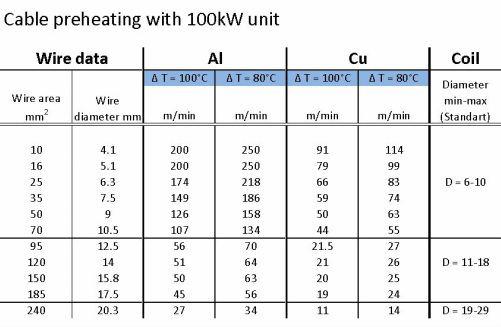 The inductive heating temperature ranges from 80-200°C depending on the material used. For this application, inductive preheating has established itself as a precise, reliable and environmentally friendly method. 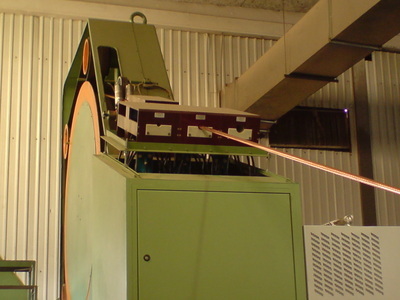 Because the heat is generated in the cable directly (without contact), the cable surface is perfectly smooth and free of scratches. 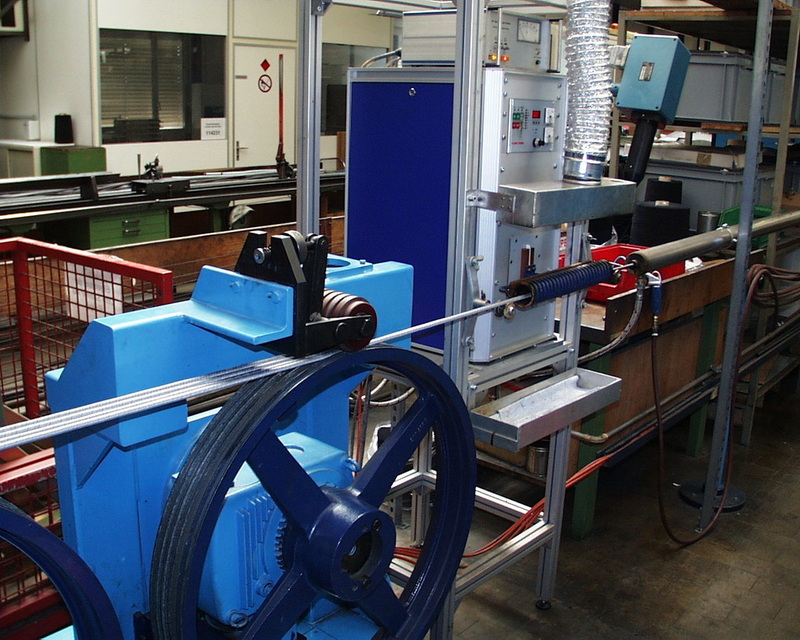 A decisive factor for the quality of the manufactured cable is a strict adherence to the required temperature. 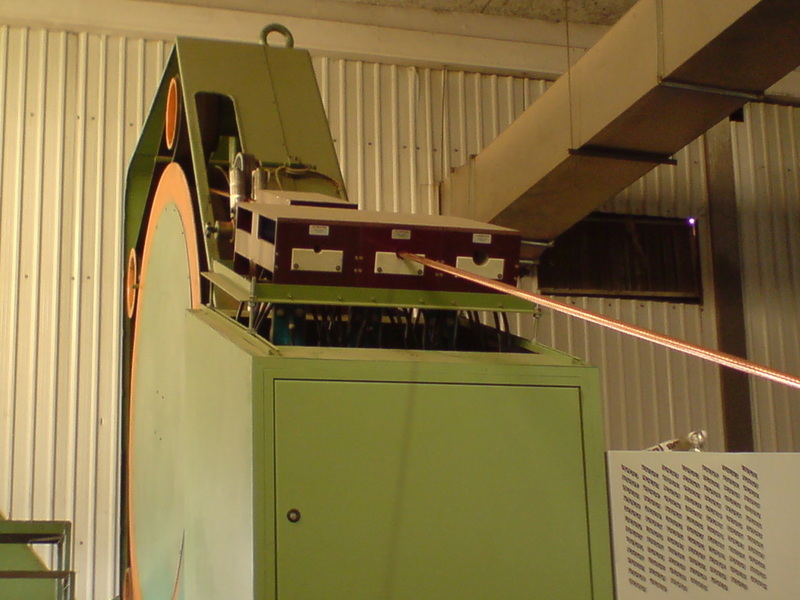 With a control system developed by us, this temperature is constantly regulated and adapted to the current line speed. 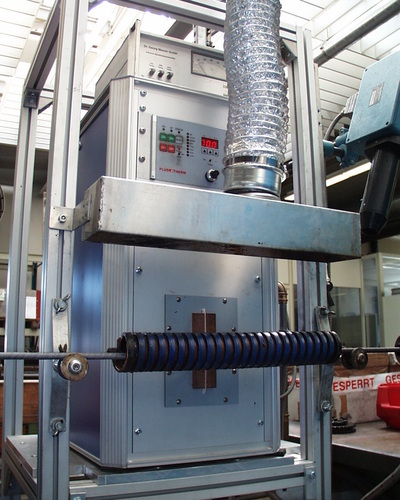 Our cable preheating/conductor preheating systems have been designed and developed in Switzerland for over 50 years and include the latest advancements in power electronics. 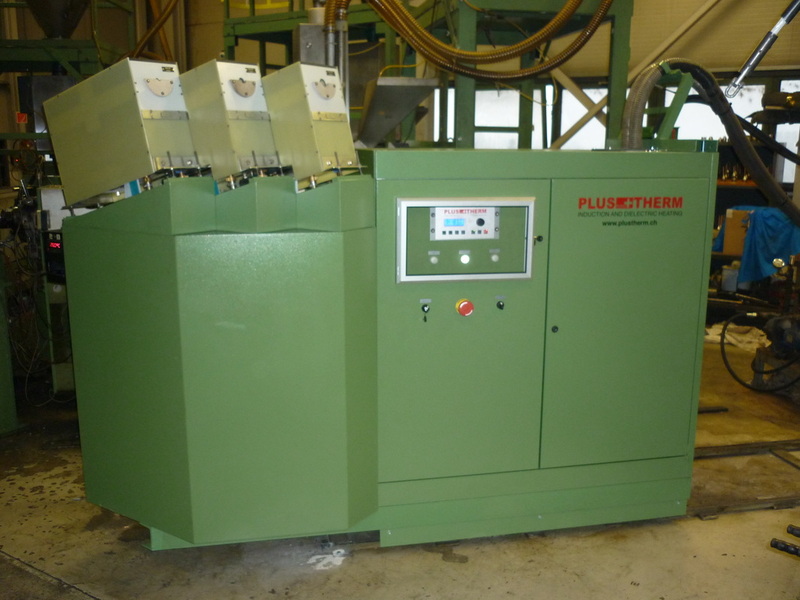 Plustherm Swiss Made Cable Preheaters are supplied to all celebrated cable manufacturers which work with cable preheating / conductor preheating. 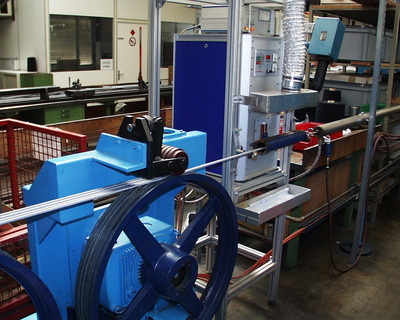 The experience of these manufacturers constantly flow into the further development of our equipment.